The Rhododendron is over 2000 years old. It is known that Chinese in the beginning of our era cultivated these plants and kept them in pots. 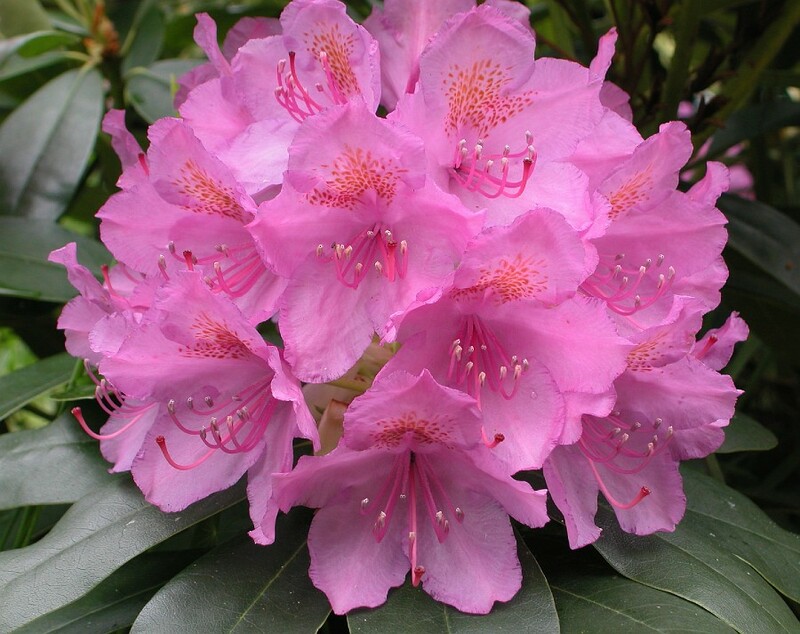 Much later, at the end of the 17th century, the Rhododendron came to Europe with the Dutch merchants. The Rhododendron occurs is a large spread area. It reaches from the Himalayas in China to Japan and Korea and Indochina. Furthermore there are even species in Northern America. ?How do I prevent yellow leaves ? The Rhododendron is known for its dark green leaves. As soon as the color of the leaves become different there is a problem. In the case of yellow leaves than the soil has a shortage of magnesium and / or iron. The leaf color can vary from yellow to white. Furthermore, you can solve this small problem by adding acid or by the use of an iron chelate. The dosage is 5 g on a bush about 3 feet high and 3 feet in diameter. If it continues, you can repeat it after about two months. When the plant is in a heavy clay ground you will probably not succeed the only solution than is moving the plant and replant it into land with a lower pH value. Brown leaves often are a result of using too much chemical fertilizers. Mineral salts are the main cause that the plant will dehydrate and instead of absorbing water the plant is giving water away. It is best to pick a organic fertilizer that slowly dissolves and nutrition are gradually dosed.